At mb INNOVATIONS we use the latest SolidWorks 3D software to design virtual models, simulations, manufacturing drawings and realistic renderings of client design concepts. We can start our product development strategy with just a napkin idea and transform that into solid models for evaluation and design function, or take existing designs and add additional features or modify as needed. Our approach is to maximize the designs and minimize the process timelines. 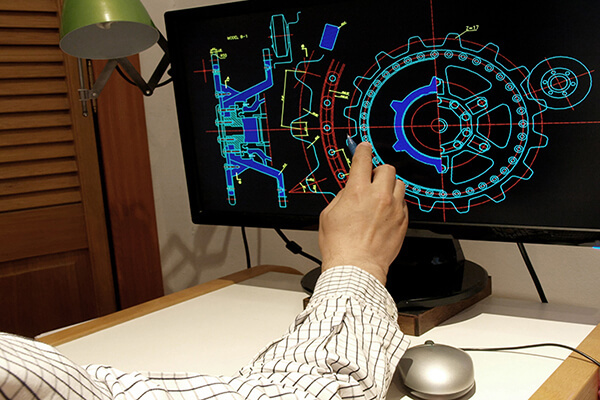 Our many years of experience in product development assist clients in capitalizing design to manufacturability. Too often a great product is designed without taking into consideration the manufacturing process and what ends up is time and resources spent on a product that cannot be manufactured at a marketable price point. We use sustainable product design strategies with both the INTENT and MANUFACTURING in mind, this sets us apart from your typical design firm. We can do as little or as much as clients require. If the product designs warrants prototypes or working designs we can produce them for function testing, manufacturability evaluations or marketing samples. This is a very important step in product development and we use the latest 3D printing technologies where applicable, to produce working models in as little as 2-3 days. This allows for rapid and inexpensive product representative models. We also can provide other prototypes such as sheet metal components, machined parts or PCB prototypes. For more about our engineering design services, call us today. Copyright © 2019 MB Innovations | Sustainable Product Design | All rights reserved.